18000 rpm spindle and combined with a highly effective large volume chip disposal. The VTC-800/30SDR provides a simultaneous 6-axis platform that delivers the ideal solution for the efficient machining of structural components typically required within the aerospace industry where high accuracy and high metal removal rate are critical requirements. 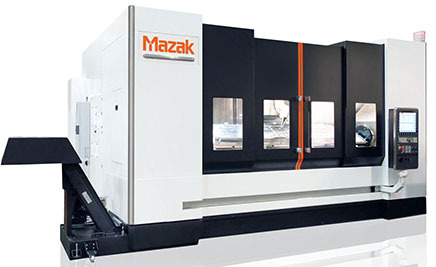 Equipped with SIEMENS SINUMERIK 840D sl CNC technology.